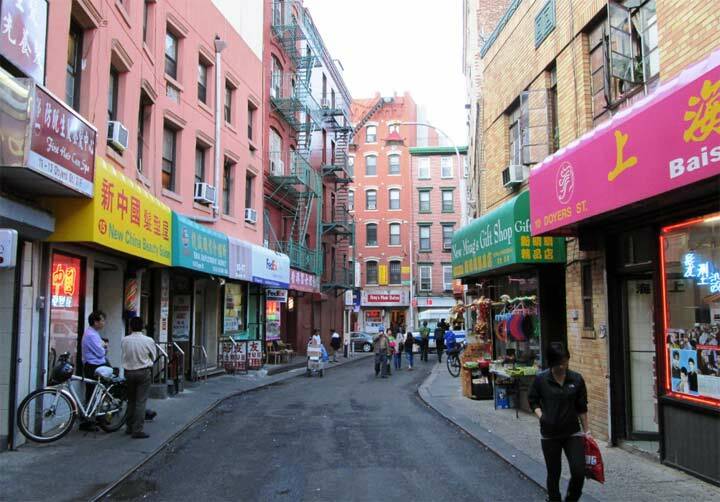 East Second Street boasts two small, well-maintained cemeteries, one visible from the street, one hidden from view. 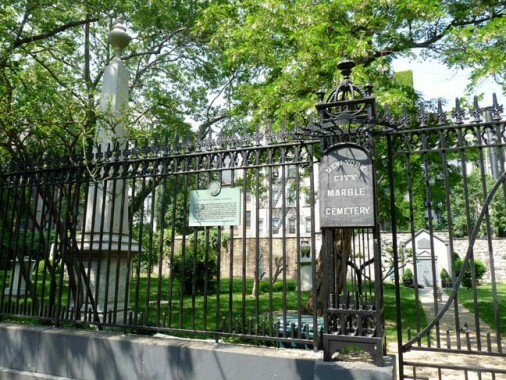 New York Marble Cemetery, organized in 1830, and New York City Marble Cemetery, from 1832, are not two locations of the same cemetery, but separate organizations! 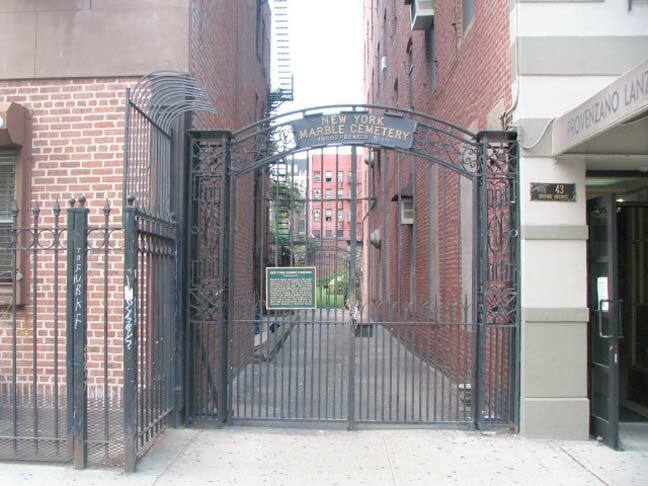 New York Marble Cemetery is located within the block bounded by the Bowery, 2nd Avenue, and East 2nd and East 3rd Streets, and its only public reminder is a locked gate emblazoned with he cemetery’s name on 2nd Avenue. Unusually, there are no headstones there: the interred, in vaults, are identified by inscriptions on inlaid tablets on the perimeter wall. New York City Marble Cemetery fronts on East 2nd St. between 1st and 2nd Avenues. President James Monroe was briefly interred here. Preserved Fish, of the famed New York City family, occupies a vault here. “Preserved” is a traditional Quaker name. Chris, I went to the same school. LaSalle Academy 44 E. 2nd St.-Class of June 1958. Lower photo of New York City Marble Cemetery shows through the fence the back wall of the building in which we owned an apartment 72-74 East Third Street.until 1999. Our dog used to get upset when viewing the squirrels gambolling about there who were protected by 3 walls and the fence. We often wondered why there were 2 cemeteries with similar names so near to each other. Did anyone go to Holy Rosary Academy? graduated Holy Rosary Academy 1961. Then attended Washington Irving High School. Are there any reunions planned? I remember the “greasers thing”. I had a buddy from over by there and he always hated us referring to him that way. But he knew we meant in a loving way. I still get back up that way every few years when I take a vacation from the granite business here in Louisville. I Still have family and a lot of old friends that never left the area.